At home in an entry, hall, behind a sofa, or any place a unique statement is desired. 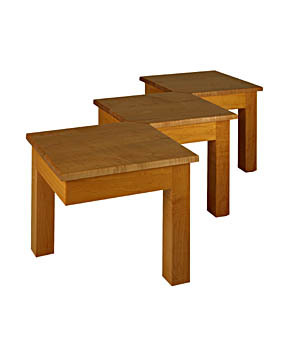 This table is strong and handsome with 6 legs for rigid stability. Available in custom heights and in a two segment design measuring 48" long. 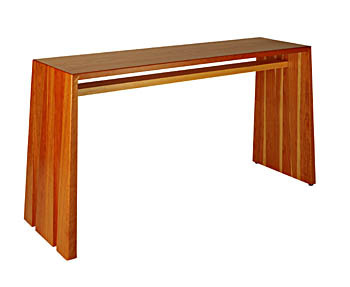 The coffee table version of the Segmented Console Table. 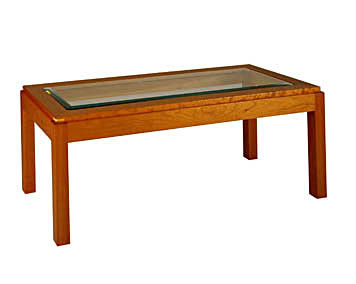 Shown in tiger maple; also available in cherry. 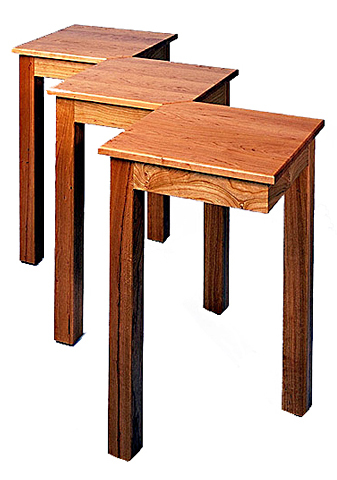 Mitre and spline construction allows the eye to flow from the table top down the legs and cascade onto the floor in an unbroken line. Stepped and contoured leg panels suggest falling water. 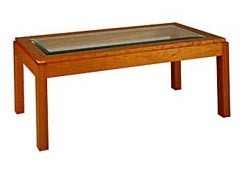 This variation on the Glass Top Coffee Table has 3/8" beveled glass, a mitred frame and a contrasting wood accent on the corners of the inset top. 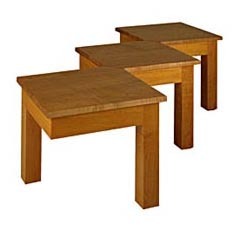 Size: 17"H x 19"W x 43"